Oil & Butter: Saippuaa Suomesta! 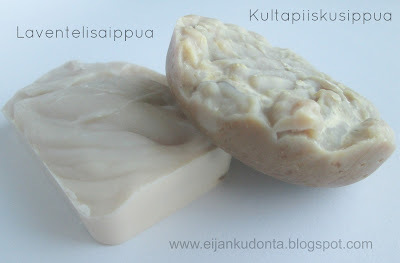 These next 2 soaps were from Eija at www.eijankudonta.blogspot.com. I absolutely adored her packaging! 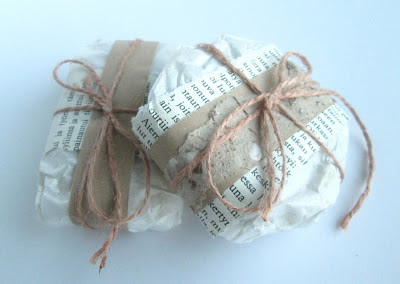 Each soap was wrapped in tissue with a torn page from a book wrapped around it and tied with twine…so charming! The soap on the left is a soap made with lavender water…what a nice idea! I was able to translate the ingredients as olive oil, canola oil, coconut oil, palm oil, shea butter, almond oil and lavender water. The soap on the right is made with olive oil, canola oil, coconut oil, palm oil, shea butter, castor oil, kultapiisku (flower) water and is fragranced with an apple scent…it smells so good, like a giant apple cookie! I am so in love with them both! I´m so glad it didn´t take 7 weeks for my soaps to get to Canada. Hope you enjoy them. I sure have enjoyed your soaps. I have almost used the first one. Finnish is a very difficult language and the words can get so long. Like something you would say in English in five words, you would say i Finnish in only one word. Strange, isn´t it? You asked earlier if pureed mango discolors the soap. Now you can see for yourself :) The soap with mango butter and goat milk contains pureed mango and the only color I put in it was the orange for the swirls or droplets. It definitely sounds like a challenging language to learn, but it's sure a beautiful language. Oh, how I wish I was multilingual! I'm amazed at the mango puree, it didn't discolor at all! At what point did you add it to the soap, or was it mixed in with the goat milk? In this soap i mixed the fresh mango at trace. 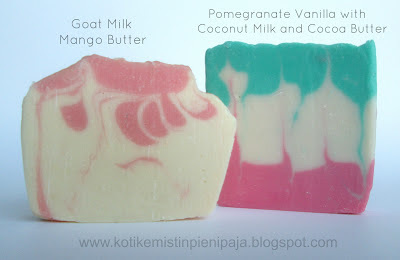 I wanted to make a full goat milk soap and did not discount the mango from the liquids. I´ve tried it earlier and it works just fine. Normally I freeze all fruits that are for soaping. Wow, I am really impressed by this mango soap of Marika!I know these 2 ingredients colour the soap , but not in this case. Maybe Marika put her soap in fridge? Anyway, her soaps are lovely and it seems that she sent for every swap different soaps !!WOW!! Natalia, I sent different soaps to you and Maja because we decided to do different soaps than what we decided with Cee, Eija and Gordana. 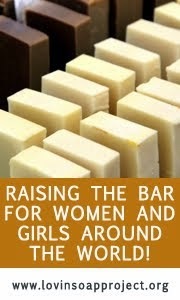 I am impressed with how light and creamy colored her full goat milk soap stayed too, it's just lovely! Wow, so many soaps to try now,Cee! I have the same problem here: received four at once (from Belgium and Finland) and now I don't know which one I should start with. 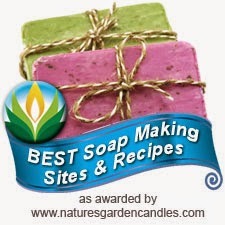 This mango soap really intrigues me, just as this lavender water soap! They sound luxurious, I wonder how they feel like on skin. I use Gimp and it very easy to use. Thanks ladies,I will check it out later and report back how I find it! Yes, please let me know what you think of it! I've never used Photoshop, so I can't compare, but I've heard that Gimp has a lot of the same features. It will be interesting to see what you think of it. Marika - have you used Photoshop too, and is GIMP similar? I have used Photoshop several years ago, but didn´t like it. Gimp is similar, but much easier to use. When it comes to photography there is big room for improvement for me. Thanks God I finally found the place in my house where I can take pictures. It is still challenging to me but up to now, for editing purpose, I used only crop option (to remove background). However I finally realized that I need better camera. Thank you for sharing PicMonkey! It seems that it offers so many opportunities for collages creation. 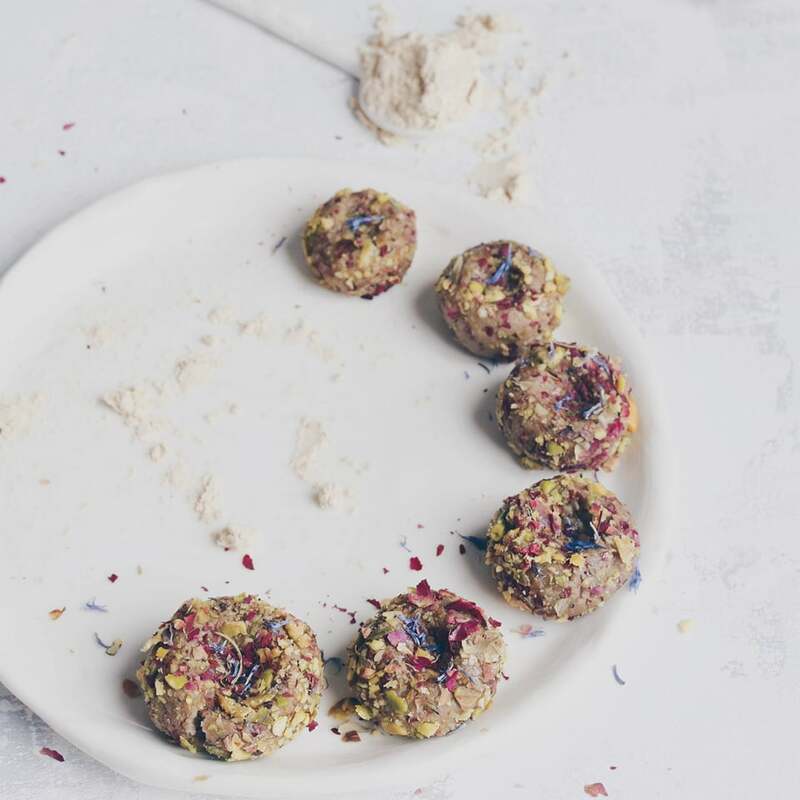 I just saw these on Gordana's blog, too! 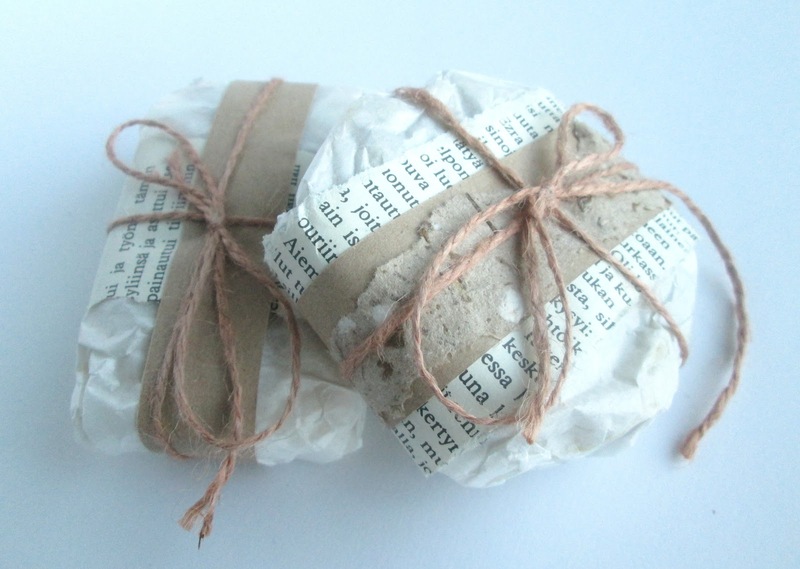 Looks like you got some gorgeous soaps in the swap! I love the colors and technique in Marika's soaps, and Eija's soaps look so nice and nourishing. Such pretty colors and gorgeous packaging, I am jealous!! Did I miss what you sent them in return? Good when the soaps were not received. Hopefully, they will become a wonderful foam. Thank you again for the soap, lovely! Thank you Eija, I'm really looking forward to trying your soaps too...this swap was so much fun! The meaning of this is that you literally burn fat by consuming Coconut Fat (also coconut milk, coconut cream and coconut oil). These 3 studies from big medicinal journals are sure to turn the conventional nutrition world around!